Interpret symbols, the language of dreams. Links to good dream dictionaries. Recognize archetypal themes in your dreams. Influence, program, and rewrite dreams. Incorporate material from dreams into your art and writing. After you read the assignments, practice what you learned. These exercises will teach you how to process your dreams using your journal. The Workshop began as a class curriculum I wrote and taught for Virtual University in 1998. It was my first online teaching job, although it was strictly volunteer work. From 1998 until 2010 I wanted to teach online again, and earn money doing it. In 2010, I got my dream teaching job and have been teaching online ever since. Dreams can come true. I now teach three online real estate classes as an adjunct professor at Mesa Community College. The VU dream class had one hundred students, with active participation on a bulletin board. Click here to see parts of the discussions. Another writer weighed in on symbols and how they came to be, Mark Twain! Click here to see Twain's ideas about symbols. The class also searched for writers and artists who use dream images in their work. For a diverse link collection, click here. 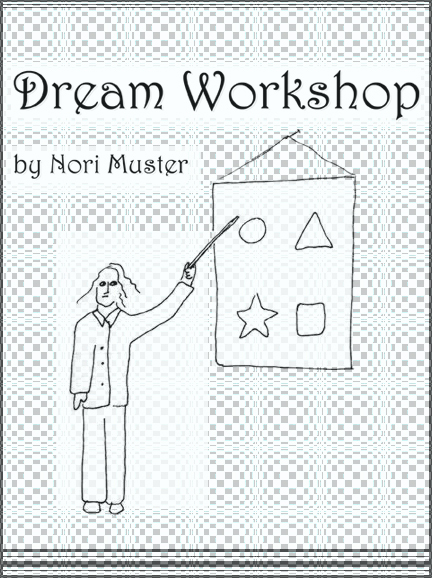 About sixty percent of the students were beginners at dream journaling and were just starting to learn about dream symbols. About fifteen percent already had a good grasp of the symbol language and how to interpret dreams. Several students with knowledge of dream interpretation helped me on the discussion boards, throwing out ideas and good insights. The remaining twenty-five percent had some understanding of symbols, but reported trouble with recurring dreams and nightmares. I asked them to pay greater attention to the more advanced sections, including archetypal themes, influencing dreams, and using dream images in art. This information allows greater self-awareness and peace of mind for people with troubling dreams. Delving into the subconscious mind may be fun for some, but dangerous for others. I posted a disclaimer about this in the syllabus, and encourage anyone with psychological-emotional problems to get a support system in place if they decide to pursue a deeper understanding of their dreams. See disclaimer, click here.